Thank you for your interest in Wrightsville Beach, NC. 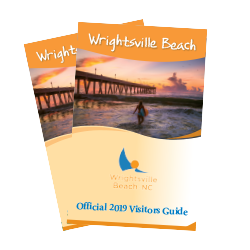 As you can imagine, Wrightsville Beach receives numerous requests from travel writers each year. We request a minimum of three business weeks’ notice for impending press visits. This allows us time to receive and verify your assignment and credentials and to pursue suitable, available lodging and make other arrangements to facilitate your visit. Email your request, including details of your assignment, the name of the publication(s) you are working for, circulation figures, the dates you will be traveling and other relevant details (number in travel party, story angle, etc.) to lknepper@fwv-us.com. Freelance writers, please forward documentation of recent clippings with your byline of travel-related feature coverage. Requests for complimentary or media rate accommodations, meals and activities are handled on an individual basis. Please note that complimentary arrangements and press rates/discounts are provided at the discretion of the host businesses and are subject to availability. Blackout periods may be experienced throughout the year that may necessitate a press rate, especially at hotels. Approval is based on availability, season, compatibility of assignment and other factors. We are unable to accommodate comp room requests during peak weekends and peak travel seasons (may apply to weekday and/or weekends). Unfortunately Wrightsville Beach, NC does not pay for airfare or ground transportation. Some meals may be provided, contingent upon assignment and availability of host business. Requests for Monday through Thursday travel (excluding holidays, festivals, and peak season of June - August) are preferred and encouraged. Please understand that our primary concern is assisting working press. Therefore, host locations are often unable to accommodate spouses, children and visitors accompanying working press. Please notify the agency listed below of any change in plans immediately. After your visit, forward a link to the online version along with an original copy of your published feature or broadcast clip, as well as publication/air dates.